The Fifty Best held a “blind” tasting with 15 members of the spirits judging panel and 27 liqueurs in seven separate categories, including: Fruits/Flowers, Chocolate/Coffee, Honey/Nuts, Cremes, Herbs, and Amaro. The judges were informed of the categories and flavors, but not the brands. Strict tasting rules were applied. The order of service was established beforehand by lottery. Each of the liqueurs were poured into fresh glasses from new sealed bottles, and served at slightly above room temperature. Only ice water and neutral, unsalted chips and crackers were available to cleanse the palate. 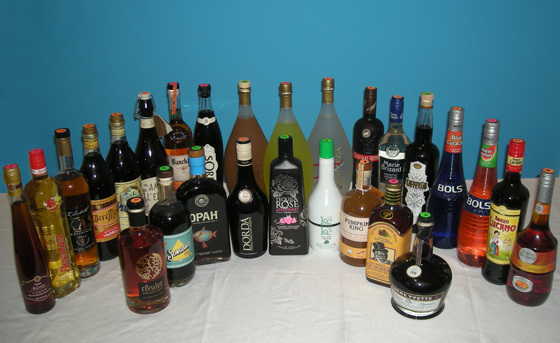 The liqueurs were tasted in groups according to flavor category, with medals awarded on the basis of the judging panels’ rating of all liqueurs from that group. The judges wrote down their impressions of each product on score sheets. The scoring was done on a 5-point system, with 5 as the best. Double-Gold, Gold and Silver medals were awarded according to a set range of final point scores received from the judges. There were no Bronze medals awarded in this tasting. Aroma: Lovely orange, orange peel, lemon, citrus, cotton candy. Palate: Orange rind, lovely orange soda, light citrus, popsicle, cotton candy, spices, colorful, full flavor, balanced. Finish: Orange, confectioners sugar, smooth, light, fresh, love it. Aroma: Orange peel, fresh sliced orange, orange marmalade, lemon, anise, floral. Palate: Orange marmalade, orange peel, orange gummy bear, Grand Marnier, citrus, honey, floral, licorice, slightly toasted, full flavored. Finish: Citrus, licorice, spicy, cinnamon, smooth, clean, satisfying, nice. Aroma: Apple, sour apple, citrus, pineapple, bright fruit, honey, dough, tart, mild. Palate: Apple, green apple, sour apple, pineapple, lemon, orange, citrus, cherry, honey, caramel, toasted almond, tart, floral, pepper. Finish: Green apple, apple, mild, delicate, clean. Aroma: Orange, orange peel, hints of cocoa, honey, herbs, light ginger, floral, caraway. Palate: Orange peel, citrus marmalade, subdued orange, citron, honey, chocolate, spearmint, flavorful. Finish: Mint, floral, light, smooth, velvet, great to blend, pleasant, very nice. Aroma: Lemon, lemon drops, faint lemon peel, lime, mild. Palate: Lemon ice, lemon curd, lemon peel, lemon-head, lime, marmalade, treacle, floral, full flavored. Finish: Candied lemon, lemon peel, lime, sweet citrus, sugary, cinnamon, smooth, summery, well done. Aroma: Apple, durian fruit, apricot, persimmon, honey, twinkies, amaretto, caraway, tart. Palate: Apple, fig, honey, flan, amaretto, honeysuckle, chamomile, flora, spice, caraway. Finish: Fig, floral, light, pleasant. Aroma: Watermelon, watermelon Jolly Roger, rosewater. Palate: Watermelon Jolly Rancher, watermelon bubble gum, black cherry, gummy bear, cotton candy, mint, crisp, flavorful. Finish: Watermelon, mint, surprising dry, nice, easy, tasty. Aroma: Cherry, pomegranate, York peppermint patty, mint, root beer, light herbal, clove, allspice, floral. Palate: Stone fruit, cherry, fig, chocolate, cassis, dry herbs, mint, cloves, allspice, faint cinnamon, vermouth, tangy, well balanced. Finish: Grape must, grappa, cinnamon, cloves, floral, smooth. Aroma: Coffee bean, medium sweet coffee, good coffee, espresso. Palate: Coffee bean, black coffee, espresso, chocolate, vanilla. Finish: Vanilla, clean, smooth, easy. Aroma: Chocolatey, deep chocolate, fudge, chocolate syrup, chocolate powder, mocha, cafe mocha. Palate: Milk chocolate, chocolate cream, homemade hot chocolate, chocolate syrup, Fox's U-Bet, nougat, very natural flavor. Finish: Chocolate, sweet cocoa, toast, soft, classic. Aroma: Espresso bean, coffee, fresh coffee, dark roast coffee, tobacco. Palate: Espresso bean, strong black coffee, toffee, chicory, creamy. Finish: Coffee, vanilla, a little peppery, clean, light. Aroma: Coffee, cafe au lait, toffee, milk chocolate, chocolate, cocoa powder. Palate: Coffee, mocha, milk chocolate, full chocolate, milkshake, dark chocolate powder, complex. Finish: Thick melted chocolate, cacao, milky, subtle mint, rich, fresh. Aroma: Coffee bean, black coffee, espresso, chocolate, wood. Palate: Coffee, black coffee, espresso, bit of chocolate, caramel, berries, violet, floral, cognac, spice. Finish: Dark espresso, caramel, toffee, spicy, tangy, herbal, smooth. Aroma: Honey, mead, butterscotch, cream, herbs, orange, honeysuckle nectar, floral. Palate: Honey, mead, vanilla, alpine flowers, orange, herbs, cinnamon, allspice, nutmeg, pumpkin spice, nectar of the gods. Finish: Honey, vanilla, pumpkin, perfectly spicy, clean, lovely. 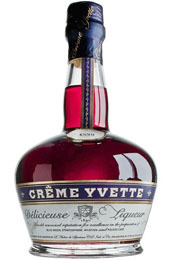 Aroma: Pecans, hazelnut, walnuts, cocoa, kettle corn, butter, caramel, toffee, butterscotch, stroop. Palate: Pecans, peanut brittle, almond, walnuts, hazelnut, butterscotch, toffee, cocoa powder, popcorn, buttered popcorn, raisins, soft, smooth. Finish: Dark chocolate, buttery, toffee, nutty, clean, fresh, pleasant. Aroma: Chocolate, milk chocolate, cream, peanut brittle, hazelnut. Palate: Latte, mocha, milk chocolate, toffee, cream, caramel, nips candy, truffle, nougat, hazelnut, nutella, raspberry, dessert in a glass. Finish: Mocha, chocolate, hazelnut, creamy, mild, nice, love this. Aroma: Key lime pie, lime, butter cream, coconut, pistachio, mint. Palate: Key lime, key lime pie, lemon notes, coconut, vanilla, cream, subtle citrus, delicious. Finish: Key lime pie, citrus, coconut, pleasant, so fun. Palate: Wild strawberry, creamy strawberry, strawberry ice cream, strawberry milk, creamy, banana, licorice, nice. Aroma: Tropical berry, wild berry, raspberry, cranberry, orange peel, mulled wine, rose, floral. Palate: Fruity, black cherry, cherry, cranberry, raspberry, strawberry, gummy bear, floral, rose, creamy, smooth. Aroma: Licorice, anise, caraway, almond, herbs. Palate: Black licorice, anise, wormwood, spices, creamy, smooth, nice mouthfeel. Finish: Anise, peppermint, absinthe, herbs, well balanced. Palate: Licorice, anise, spearmint, baking spices, complex, lovely texture. Finish: Licorice, anise, mint, nice balance. Aroma: Anise, black licorice, toffee, nutty, caraway, herbs, mint. Palate: Anisette, absinthe, black licorice, honey, tarragon, sage, clove, peppermint, dandelion, herbal, mineral notes. Finish: Anise, herbal, cocoa, savory. Aroma: Toffee, cola, orange, floral, wild flowers, lemongrass, herbs, cloves. 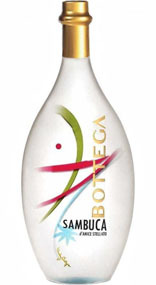 Palate: Herbal, eucalyptus, citrus, honey, maple syrup, cola, wood, effervescent, flavorful, balanced. Finish: Bitter orange peel, spicy, herbal, honey, smooth, easy, clean, light, fresh. Aroma: Aged herbs, herbal, Underberg, mint, honey, cola. Palate: Herbal, chamomile, mint, dandelion, floral, melon, grapefruit, honey, chocolate, coffee, roots, tree bark. Finish: Toffee, herbal, floral, good acidity, balanced. Aroma: Toffee, honey, coffee, cola, mild floral, very spicy. Palate: Coffee beans, cola, honey, minty, herbs, cinnamon, allspice, tobacco, roots, tree bark.